Dr. John B Junod, MD is a Doctor primarily located in Souderton, PA, with another office in Feasterville Trevose, PA. He has 32 years of experience. His specialties include Family Medicine. He speaks English. The overall average patient rating of Dr. John B Junod is Great. Dr. John B Junod has been rated by 10 patients. From those 10 patients 2 of those left a comment along with their rating. The overall rating for Dr. John B Junod is 3.7 of 5.0 stars. Dr. Junod has called me at home in the evenings to discuss lab results. He always takes as much time as I need to go over my issues and discuss all the options for care. He always looks for ways for me to save money with prescriptions and testing. I appreciate the care Dr. Junod provides and have been going to his office for the past 15 years. 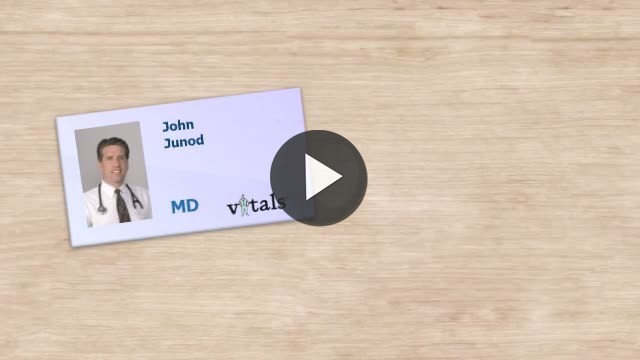 John Junod, MD is a board certified member of the American Board of Family Practice. He completed his residency at Abington Memorial Hospital after receiving his medical degree at Temple University School of Medicine. Take a minute to learn about Dr. John B Junod, MD - Family Medicine in Souderton, PA, in this video. Dr. John B Junod is similar to the following 4 Doctors near Souderton, PA.
Have you had a recent visit with Dr. John B Junod? Select a star to let us know how it was.